Lovely, isn’t it! And a perfect compliment to all the Amy Butler fabrics. This quilt is huge, over 100″ square, which makes it a) Very heavy and, b) Too large to lay out flat anywhere in my new home for photography. If I could find a clean snow bank outside, I guess I could get shots of it outdoors. Maybe this weekend. I still have to bind it, anyways, so more photos after that is done! 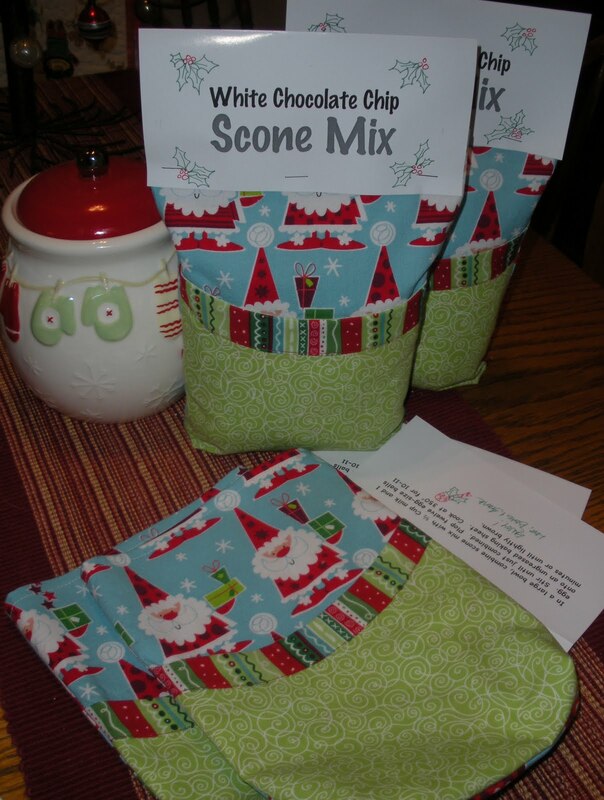 The pattern for these cute reusable gift bags, AND the scone recipe is called “My Other Kitchen” by Vanilla House Designs, and it came from here. Super easy, it’s a “green” gift, and the scones are yummy! That’s a little pocket at the front of the bag to add a gift card, wooden spoon, candy cane, etc., to dress up your package. Clever! Are you scrambling to finish up any last minute handmade gifts? 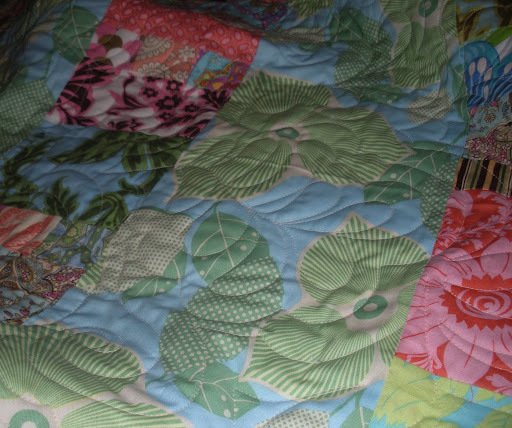 Yay, how fun to get your beautiful quilt back! It sure is beautiful. I love your scone mixes in those adorable bags. This would be a great gift for me to give my sister, since she loves making scones. I just dropped off about six handmade gifts at the post office today – whew! As I was reading your post, I was thinking someone had given you a quilt; which would have truly been amazing and wonderful! 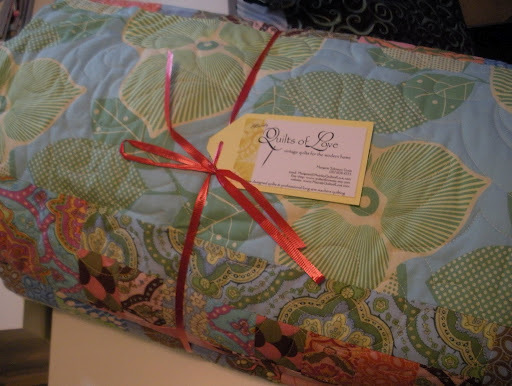 But, almost as wonderful is getting a quilt back from the quilter! wonderful quilt!! ……No chance of being able to photograph anything in a snow drift here!! bit hot for snow! Love your little scone gift bags….too cute…I have been doing some Christmas baking and the apron you made me has been really handy! I am a messy baker! LOL…..wishing you and yours a wonderful Christmas and a fab 2010! 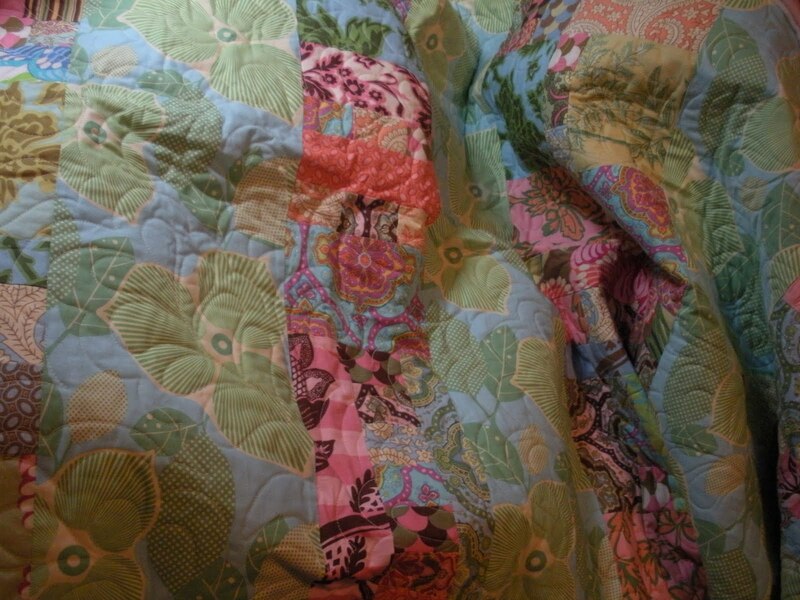 Your quilt looks just beautiful! I LOVE the way this turned out! 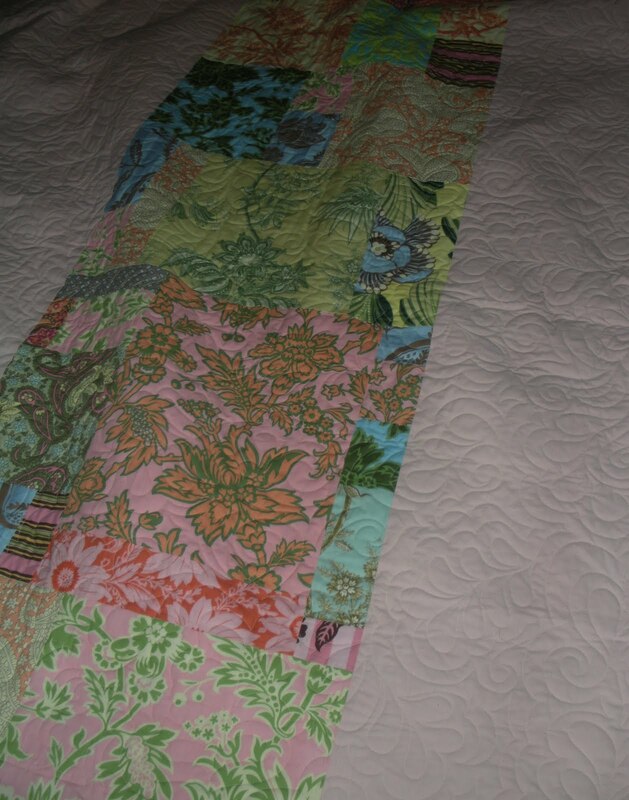 I'm so excited for you getting it quilted – beautiful!